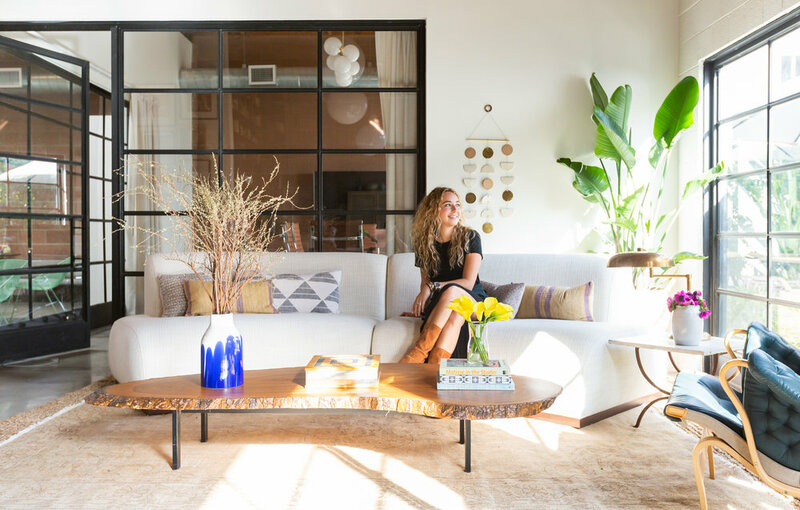 Meet Beatrice Fischel-Bock, co-founder and CEO of Hutch, an interior design app that allows users to virtually decorate spaces with the help of technology. Beatrice helped to start the company while still in college, and while she didn’t set out to start a tech company when she began her Interior Architecture and Design degree, she’s taken every opportunity in stride, reaching new heights and making room for herself in the industry. Proving that good ideas and innovation make a solid foundation for success in tech and beyond, Beatrice and her team have ran with the concept, dreaming up endless possibilities and applications for their technology, seamlessly integrating new features and demonstrating their ability to innovate and grow. Prior to Hutch’s re-branding in 2017, the company was called Zoom Interiors and appeared on Shark Tank in 2015, piquing the interest of venture capitalists. During the company’s Seed Round, Hutch secured funding from well known investors, including Tinder’s Sean Rad and Zillow’s Spencer Rascoff, among others. I chatted with Beatrice and asked her about everything from being on Shark Tank, securing venture capital, and building a team that aligns with her company’s values. Keep reading the learn more about the incredible story behind Hutch. So going back to the beginning...what led you to start Hutch? Hutch is an investor-backed startup. what advice do you have for female founders who are looking to secure funding? what’s the hardest obstacle you’ve had to overcome in terms of growing and building Hutch? what does the hutch team look like? and how was building that team in terms of finding people who were aligned with the brand and its values? what does a typical day look like for you as ceo? your background is in interior design rather than in business. How did you make that transition and step into your role as CEO and Co-Founder? how do you stay organized in terms of getting things done and staying on track? Well we have a big new launch coming out in 2019, which is the new Hutch product that I can’t say too much about but is very exciting.